The information I have is only for R-23R and R-23T which were 35 km an 15 km respectively, I'm assuming the R-24 had longer ranges ? Just from memory the 35 and 15km ranges were head on lock on ranges based on the seeker performance. Obviously a receeding target could be engaged at greater ranges because of better IR view of engines with the IR guided model. i seem to remember the head on engagement range of the radar homing R-24 as being something like 55km or so. I was having discussion with colleague in BRF and it seems Russia has not ordered the R-27 yet , most of the picture of Su-27 even in Syria is shown with R-27 and not R-77 , so it true that RuAF has not ordered R-77 ? Also it seems R-77 has design issues ? Austin wrote: I was having discussion with colleague in BRF and it seems Russia has not ordered the R-27 yet , most of the picture of Su-27 even in Syria is shown with R-27 and not R-77 , so it true that RuAF has not ordered R-77 ? I am not sure about that "reliability and engineering problem" Given that our own flanker (Indonesian) Also used R-77 and successfully tested it. One thing however.. Carlo Kopp stated that the 9B-1348 seeker for R-77 using Texas Instrument Digital signal processor chip (TMS-320) Perhaps that could be the problem. Russia have ordered R-77-1 missiles and first missiles will be delivered to RuAF in this year. As you could see on the photo, operational Su-35 regiment already have launch adapters for R-77-1 missiles. Most probably Su-35 and Su-30SM units will be the first equipped with those missiles. 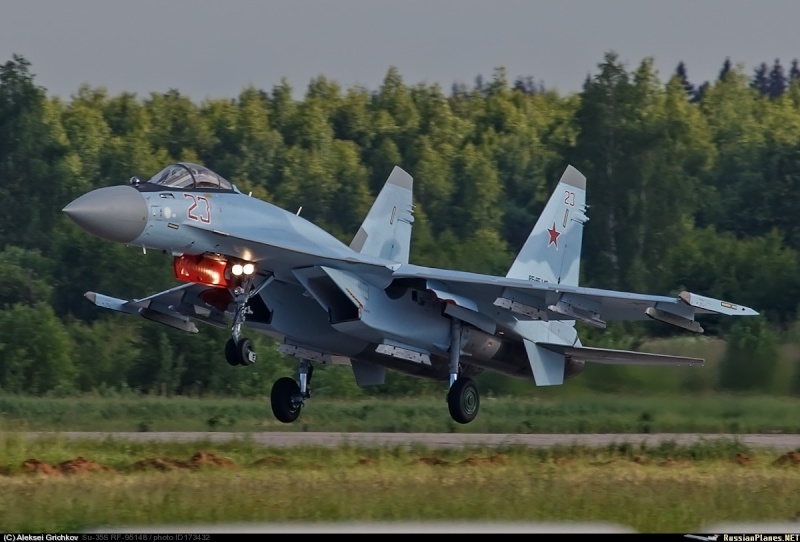 I think we will more often see them next year, when RuAF will receive larger number of them. If you ask specifically for R-77 missiles, than answer is no, RuAF didn't order R-77 missiles, they order R-77-1 missiles. What are the differences? R-77-1 uses Russian made components? medo wrote: Russia have ordered R-77-1 missiles and first missiles will be delivered to RuAF in this year. Seeker upgrade for the Izdeliye 170-1(R-77-1) is not yet over, so it is unlikely to be delivered this year. R-77-1 are already in production and Russian MoD ordered them. Missiles are fully Russian without components from Ukraine. They said to have a problem with a seeker for short range AAM, not for R-77-1. Did RuAF have R-27AE active radar variant ? Difficult to say. Officially not, but externally R-27AE is the same as R-27ER, so they could easily hide them behind R-27ER. What makes you think the export missile is the same as the domestic missile? Up until recently there haven't been that many Russian Air Force aircraft that could use R-77 that were actually in service in numbers (as opposed to prototypes and sales models trotted out for air shows). The MiG-29SM and MiG-29SMT and the Su-27SM and Su-30SM, plus Su-34 and Su-35 would be able to carry them but for the vast majority of in service aircraft like the MiG-29 and Su-27P they were not compatible. The R-27 is not a bad weapon that has a very wide variety of types and is cheap and would be effective enough. Note both the R-37 and R-77 have hydraulic rams built into their launch pylons to allow conformal and internal launch positions... the missile is thrown down clear of the aircraft before the missiles rocket motor is started to prevent the airflow around the aircraft fuselage and wings from blowing the missile back up into the aircraft doing damage on launch. The R-73 short-range air-to-air missiles are designed for close-range aerial combat, with a range of no more than 30 kilometers. The R-73 missile is equipped with an infrared-homing (heat-seeking) head that provides extreme precision when hitting targets. Pilots can fire R-73 missiles using a helmet-mounted sight (HMS) system of targeting. In addition to the short-range missiles, Su-30SM flankers are equipped with R-27R and R-27ER medium-to-long-range missiles. 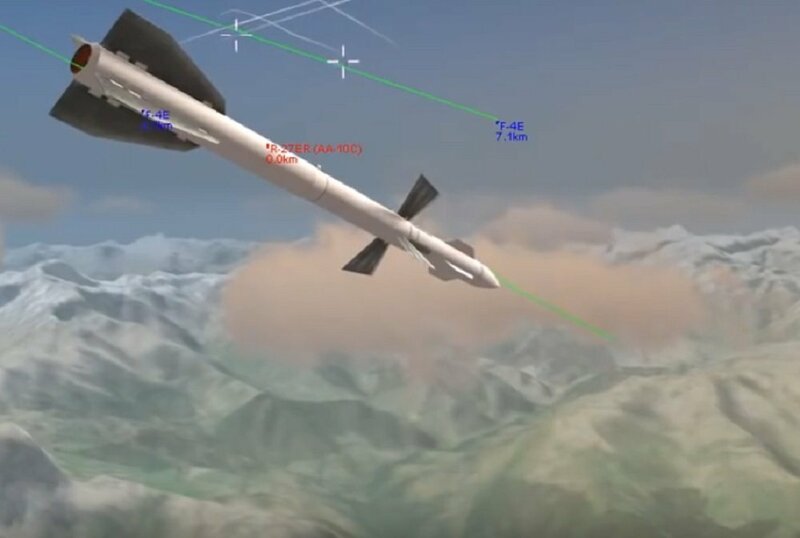 The R-27R and R-27ER missiles can be used between 20 and 27,000 meters altitude and are equipped with an active-radar-homing head that allows the missile to find and track its targets autonomously. Active-radar-homing missiles are extremely accurate and have one of the best kill probabilities among all modern air-to-air missiles. Russia launched an airstrike campaign aimed at assisting the Damascus-led forces in their fight against extremist groups in Syria, including Islamic State, following a request from the government of Bashar al-Assad. when did the full scale production of R-73 start and approx. how many were made by 1990 ? WHat is the max engagement range of R-60M front and rear aspect ? First of all that picture of the R-73 is a dummy version.... the white missile with black stripes indicates that. 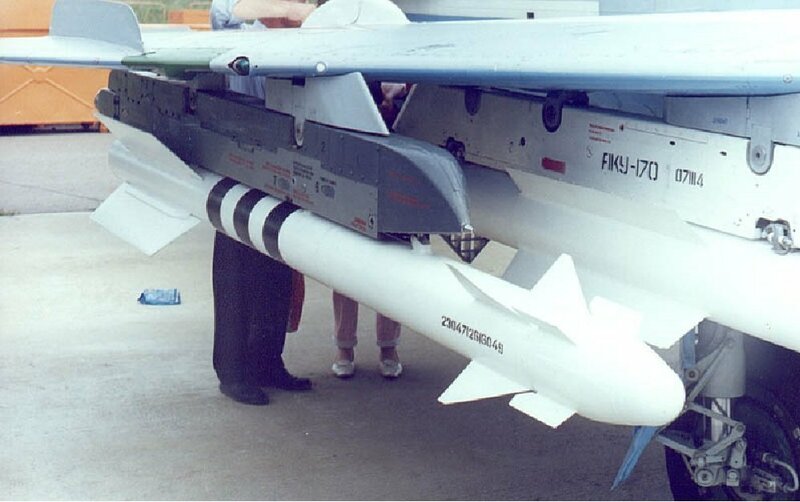 And by definition the R-27R and R-27ER are SARH missiles.... that is what the second R means in both designations... ie R= in service air to air missile, -27 means model 27, while the last R means SARH, while the E is the extended range model with larger rocket motor (note the image of the R-27 shows the R-27ER. From memory full scale production started about the mid 1980s and they were made in very large numbers. AFAIK the max head on range is about 10km and the tail launch range is about 4km for subsonic targets. Does someone know how many R-77 have been received or ordered by RuAF ? Isos wrote: Does someone know how many R-77 have been received or ordered by RuAF ? We know contract value but not the number of missiles. Roughly 1000 of them spread mostly for this year and next. How difficult is to intercept and air-air missile with another air-air missile. I heard claims such as the IRIS-T and R-77 series are advertised to intercept enemy air-air missiles and surface-air missiles. US is also making the SACM/MSD to take out enemy air-air missile. Any info on SACM vs R-77 comparison ? Well you are talking about an Air to Air missile designed to hit an aircraft size target being used against a target that when flying end on is smaller than a dinner plate, and generally flying much faster than most aircraft fly at most of the time. Part of the issue is concentrating fragments and blast at such a small target to be effective, and of course actually targeting the target in the first place with its very small RCS. Of course missiles like the upcoming 9M100 Morfei is designed from the outset to be used in the CIWS role for the navy and a short range SHORAD for the Army and short range lock on after launch AAM for the air force so it would be ideal as a small light short range anti missile missile that should be able to be carried in significant numbers due to its small size and design from the outset to be carried internally in a weapon bay or vertical launch tube. Are you talking about SACM or R-77 ? How difficult is to intercept and air-air missile with another air-air missile. That is what I was replying to.